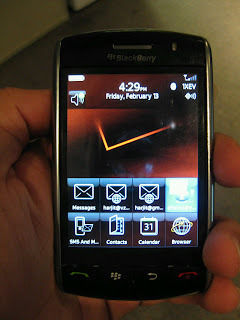 Got my first BlackBerry on Friday, February 13, 2009. I love it already. It's awesome!